Abstract: Electrocardiography deals with the electrical activity of the heart. The condition of cardiac health is given by ECG and heart rate. Automatic analysis of cardiac diseases is the vast area of research,. In literature there are number of techniques for classification of ECG signal on Android platform. ECG signal is the most commonly used for diagnosing various heart related disease like ventricular fibrillation, artial fibrillation, arrhythmia detection, premature ventricular contraction, Tachycardia, Bradycardia etc,. This paper presents a comparative study of the techniques used in the literature. Keywords: ventricular fibrillation, arterial fibrillation, fuzzy, neural networks, ECG. 1. Uvais Qidwai , “ ubiquitous monitoring system for critical cardiac abnormalities,” 2012 IEEE EMBS international conference on biomedical engineering and sciences | langkawi | 17th - 19th December 2012. 2. Noureddine Belgacem, Fethi Bereksi-reguig,“ Bluetooth portable device and MATLAB-based GUI for ECG signal acquisition and analisys,” 2011 7th international workshop on systems, signal processing and their applications (wosspa). 3. Efrain Bernal Alzate, Fabian mejia martinez, “ECG monitoring system based on arm9 and mobile phone technologies,” IEEE 2010. 4. Joseph j. oresko, zhanpeng jin, jun cheng, shimeng huang, yuwen sun, heather duschl, and allen c. cheng, “a wearable smartphone-based platform for real-time cardiovascular disease detection via electrocardiogram processing,”IEEE transactions on information technology in biomedicine, vol. 14, no. 3, may 2010. 5. Shijie zhou, Zichen zhang, Jason gu ,“time-domain ECG signal analysis based on smart-phone,” 33rd annual international conference of the IEEE EMBS Boston, massachusetts USA, august 30 - September 3, 2011. 6. K. w. Goh, e. kim, j. Lavanya, y. kim and c. b. soh, “issues in implementing a knowledge-based ECG analyzer for personal mobile health monitoring,” proceedings of the 28th IEEE EMBS annual international conference New York city, USA, Aug 30-sept 3, 2006. 12. Hristo mateev, Iana simova, Tzvetana Katova, Nikolay dimitrov, Jvaylo christov, “TEMEO – a novel mobile |heart rhythm Telemonitoring system,” computing in cardiology 2011. 13. Henian Xia, Gabriel a Garcia, joseph c Mcbride, Adam sullivan, thibaut de bock, Jujhar bains, dale c Wortham, xiaopeng zhao, “computer algorithms for evaluating the quality of ECGs in real time,” computing in cardiology 2011. 14. Chin-teng lin,Kuan-cheng chang,chun-ling lin, chia-cheng chiang, shao-wei lu, shih-sheng chang, bor-shyh lin, hsin- yueh liang, ray-jade chen, yuan-teh lee, and li-wei ko,“an intelligent telecardiology system using a wearable and wireless ECG to detect atrial fibrillation,” IEEE transactions on information technology in biomedicine, vol. 14, no. 3, may 2010. 15. Cheng Wen , Ming-feng yeh , Kuang-chiung chang , Ren- guey lee, “real-time ECG Telemonitoring system design with mobile phone platform,” measurement 41 (2008) 463–470. Maiyo, W. K, Kituyi, J. L, Mitei Y. J, Kagwanja, S. M.
Abstract: Heavy metals in honey are of interest currently not only for quality control, but also as an environmental bio-indicator. The concentrations of trace heavy metals; Pb, Zn, Cu, Cr, Fe and Cd in 14 honey, soil and flower samples collected from selected sites in Keiyo and Baringo counties, have been determined by use of flame atomic absorption spectroscopy (FAAS). The concentrations of trace heavy metals in mg/kg in raw honey samples were in the range: Pb (0.063-0.491); Zn (0.012-0.259); Fe (0.073-1.295); Cu (0.032-0.123); Cd (0.044-0.224) and Cr (0.004-0.152) while in soil samples were: Pb (0.370-0.813); Zn (0.123-1.220); Fe (0.433-12.276); Cu (0.044-0.237); Cd (0.145-0.230) and Cr (0.013-0.105) and in flower samples were: Pb (0.104-0.770); Zn (0.097-0.634); Fe (0.088-8.133); Cu (0.078-0.301); Cd (0.167-0.241) and Cr (0.004-0.013). The levels of most heavy metals were generally higher in soil samples than in raw honey and flower samples. The results obtained showed that most heavy metal contents in raw honey were, however, below the WHO, FAO and KEBS recommended permissible limits for honey as a foodstuff. Detected levels of Cd, Pb and Cr (Keiyo) in raw honey were above these limits. Investigation on the possibility of correlation between the levels of selected heavy metal contents in honey and those in soil and flowers for most elements showed that there was no significant correlation. Keywords: Contamination, Correlation, Trace Heavy Metals, Raw Honey. 1. Alloway, B.J. (1990). Heavy metals in soils. New York, Willey. 2. Alloway, B. J. and Ayres, D.C. (1994). Chemical principles of Environmental pollution.Alden press, oxford, Great Britain. 3. Calvin, J.G. and Monroe, M.B. (1972). Our Chemical environment. Canadian Field press, San Francisco, Pp 128-140. 4. Kiarie, P.K. (1995). Assessment of heavy metals discharge from battery manufacturing plants in Nairobi. Master of Science Thesis, Egerton University, Kenya. 5. Kikandi, S.N. (2002). A study on heavy metal contamination in honey from Keiyo, Marakwet and Mount Elgon Districts of Kenya. Master of Philosophy Thesis, Moi University, Kenya. 6. Maiyo, W.K. (2011). Evaluation of heavy metal contamination in raw honey and other environmental matrices from Baringo (Marigat) and Keiyo (Kerio valley) counties. Master of Science Thesis, Moi University, Kenya. 7. Mastinu, G.G and Clement, G.F (1974). Trace element concentrations in some Italian underground waters, determined by neutron activation analysis in comparative studies of food and environmental contamination, FAO and WHO. 8. Odero, D.R. ; Semu, E. and Kamau, G.N. (2000). ‘Assessment of cottage industry-Derived heavy metal pollution of soils within Ngara and Gikomba areas of Nairobi city, Kenya. African Journal of Science and Technology Vol.1, No.2 Pp 52-62. 9. Okalebo, J. R. (2002). Laboratory Methods of Soil and Plant Analysis: A working manual, (2nd Edition,Sacred Africa, Nairobi..
10. Omoga, T. O. and Kagwanja, S. M. (1999). The determination of Cadmium, Lead, Chromium, Zinc and Copper levels in honey samples from selected areas in Kenya, International Journal of Biochemiphysics Vol 8&9 No.1&2. Abstract: This paper presents FPGA implementation of the DES and Triple-DES with improved security against power analysis attacks. This is programmed in verilog. DES & TDES is basically used in various cryptographic applications and wireless protocol security layers. The proposed designs use Boolean masking, a previously introduced technique to protect smart card implementations from these attacks. Triple DES was the answer to many of the shortcomings of DES. Since it is based on the DES algorithm, it is very easy to modify existing software to use Triple DES. It also has the advantage of proven reliability and a longer key length that eliminates many of the shortcut attacks that can be used to reduce the amount of time it takes to break DES. However, even this more powerful version of DES may not be strong enough to protect data for very much longer. The DES algorithm itself has become obsolete and is in need of replacement.DES encrypts data in 64-bit and it is a symmetric algorithm. The key length is 56-bits. This paper covers DES and Triple DES algorithm with Cipher Block concept, simulation results, basic FPGA technology and the implementation details of the proposed DES and Triple DES architecture. Register transfer level (RTL) of DES and Triple DES algorithm is designed, simulated and implemented separately using Verilog in different FPGA devices including Cyclone II, Spartan 3, Vertex 5 and Vertex E series FPGAs. The results from the comparison with existing implementations show that the proposed design was efficient in all aspects. 1. “Data encryption standard (DES)”, National Bureau of Standards (U.S.), Federal Information Processing Standards Publication 46, National Technical Information Service, Springfield, VA, Apr. 1977. 2. T. Schaffer, A. Glaser, and P. D. Franzon, "Chip-package co-implementation of a triple DES processor," IEEE Transactions on Advanced Packaging, pp. 194-202, Feb. 2004. 3. P. Ghosal and M. Biswas, "A Compact FPGA Implementation of Triple-DES Encryption System with IP Core Generation and On-Chip Verification", International Conference on Industrial Engineering and Operations Management, 2010. 4. F. Antonios, P. Nikolaos, M. Panagiotis, and A. Emmanouel, "Hardware Implementation of Triple-DES Encryption/ Decryption Algorithm", International Conference on Telecommunications and Multimedia, 2006. 5. K. Wong, ―A single-chip FPGA implementation of the data encryption standard (des) algorithm IEEE 1998 pp 827-832. 6. Dhir "Data Encryption using DES/Triple-DES Functionality in Spartan-II FPGAs", White Paper: Spartan-II FPGAs, WP115 (v1.0) March 9, 2000. 7. Boyd. ―Modern Data Encryption,ǁ Electronics & Communication Engineering Journal, October 1993, pp 271-278. 8. Data Encryption Standard, Federal Information Processing Standard (FIPS) 46, National Bureau of Standards, 1977. 9. Federal Information Processing Standards Publication 140-1, “SecurityRequirements for Cryptographic Modules”, U.S. Department of Commerce/NIST, Springfield, VA: NIST, 1994. 10. D. C. Feldmeier, P. R. Karn, “UNIX Password Security – Ten Years Later,” CRYPTO’89, Santa Barbara, California, USA, pp. 44-63, 1989. 11. NIST Special Publications 800-20, "Modes of Operation Validation System for the Triple Data Encryption Algorithm", National Institute of Standard and Technology, 2000. 12. C. Boyd. ―Modern Data Encryption,ǁ Electronics & Communication Engineering Journal, October 1993, pp 271-278. 13. W. Diffie, ―Cryptographic Technology: Fifteen Year Forecast Reprinted by permission AAAS, 1982 from Secure Communications and Asymmetric Crypto Systems. AAAS Selecte8 Symposia. Editor: C.J. Simmons. Vol. 69, Westview Press, Boulder, Colorado, pp 38-57. Abstract: This paper describes systematic approach to predict of nitrogen oxides emission from 270 MW coal fired thermal power plant with the help of artificial neural network. The NOx formation mechanism and NOx emission control techniques also describe. The oxygen concentration in flue gas, coal properties coal flow, boiler load, air distribution scheme, flue gas outlet, temperature and nozzle tilt were investigated through field experiment. The predicted values of ANN model for different load condition were verified with the actual values. These parameters help us to ensure to complete combustion and less emission with increased boiler life. 1. O. P. Rao, Coal gasification for sustainable development of energy sector in India. Council of Scientific & Industrial Research, New Delhi, Technical Report, 2003. 2. G.S. Springer and D.J. Patterson, Engine emissions: pollutant formation and measurement, Plenum Press, New York, 1973. 3. L. D. Smoot and P. J. Smith, Coal Combustion and Gasification, Plenum Press, New York, 1985. 4. Karamba, T. Takarada, Y. Yamamoto and K. Kato, Energy & Fuels 7 (1993) 1013-1020. 5. Maciej Rozpondek and Marian Siudek ,Pollution control technologies applied to coal-fired power plant operation, Acta Montanistica Slovaca Ročník 14 (2009), číslo 2, 156-160. 6. S. S. S. Chakravarthy, A. K. Vohra and B. S. Gill., Predictive emission monitors for NOx generation in process heaters, Elsevier Journal of Computers and Chemical Engineering, 2000, 1649–1659. 7. Ligang Zheng, Shuijun Yu and Minggao Yu. Jiaozuo Henan, Monitoring NOx emissions from coal-fired boilers using generalized regression neural network, IEEE, China, 2008, 1916-1919. 8. Y. Yu, et al., Neural-network based analysis and prediction of a compressor’s characteristic performance map, Journal of Applied Energy, 84 (1), 2007, 48–55. 9. S. A. Kalogirou, Applications of artificial neural networks in energy systems – A review, Energy Conversion & Management (40), 1999, 1073 – 1087. 10. Ravi K. srivastava and Robert E. Hall,Bruce W.Lani,’Nitrogen oxides emission control option for coal-fired electric utility boiler’,Air waste management association(2005). 11. Hao Zhou, Kefa Cen, Jiaanren Fan ,’Modeling and optimisation of the NOx emission characteristics of tangentially fired boiler with artificial neural networks’,Energy 29 (2004) 167-183. 12. Monitoring pollutant emissions in a 4.8 MW power plant through neural network. Tronci, S., Baratti, R. and Servida, A. 2002, Neurocomputing, Vol. 43, pp. 3 - 15. 13. Monitoring NOx Emissions from Coal-Fired Boilers using Generalized Regression Neural Network. Ligang Zheng, Shuijun Yu, Minggao Yu. Jiaozuo Henan, China: IEEE, 2008, pp. 1916-1919. 14. A.T.C. Goh, ‘Back propagation neural networks for modelling complex systems’, Journal of Artificial Intelligence in Engineering, 9, (1995) 143-151. 15. MATLAB, Version 6.5.0, Math Works Inc., Help Files, 2013a. Abstract: The cloud computing is a paradigm shift for online services where the cloud computing provides resources, programs and applications as a service via the Internet and according to the user’ request. It has the ability to make use of computing resources with minimal costs and at high speed. It can provide users with a range of services, applications, and infrastructure and storage of a large amount of data, including important information. Despite the capabilities of the cloud computing, there is a question mark on its security. Therefore, security has become one of the most important issues in the cloud computing. This paper introduces the concept of the cloud computing, its characteristics and models as well as the various security threats that threaten the cloud computing, It also sheds light on some security issues and challenges in the cloud. Keywords: Cloud Computing, Threats, Security Issues, Challenges. 1. SABAHI, F," Cloud Computing Security Threats And Responses", Communication Software And Networks (Iccsn), 2011 Ieee 3rd International Conference On 27-29 MAY 2011. 11. Kevin Hamlen, Murat Kantarcioglu," Security Issues for Cloud Computing", International Journal of Information Security and Privacy, 4(2), 39-51, April-June 2010 . 16. Tim Mather, Subra Kumaraswamy, Shahed Latif Cloud Security and Privacy : An Enterprise perspective of Risks and Compliance, O'Reilly Media, Inc., 2009. 18. S.sudha1, v.madhu viswanatham2," addressing security and privacy issues in cloud computing", Journal of Theoretical and Applied Information Technology 20th February 2013. Vol. 48 No.2 © 2005 - 2013 JATIT & LLS. All rights reserved. 22. Md. Tanzim Khorshed, A.B.M. Shawkat Ali , Saleh A. Wasimi," A survey on gaps, threat remediation challenges and some thoughts for proactive attack detection in cloud computing",Future Generation Computer Systems 28 (2012) 833–851. Keywords: Diffie-Hellman key exchange, reprogramming, security, sensor networks, user privilege. 1. V. C. Gungor and G. P. Hancke, “Industrial wireless sensor networks: Challenges, design principles, and technical approaches,” IEEE Trans. Ind. Electron., vol. 56, no. 10, pp. 4258–4265, Oct. 2009. 2. V. C. Gungor, B. Lu, and G. P. Hancke, “Opportunities and challenges of wireless sensor networks in smart grid,” IEEE Trans. Ind. Electron., vol. 57, no. 10, pp. 3557–3564, Oct. 2010. 3. V. Bhuse, A. Gupta, and L. Lilien, “DPDSN: Detection of Packet-Dropping Attacks for Wireless Sensor Networks,”Proc. Fourth Trusted Internet Workshop,2005. 5. S. Lee and Y. Choi, “A Resilient Packet-Forwarding Scheme Against Maliciously Packet-Dropping Nodes in Sensor Net-works,”Proc. Fourth ACM Workshop on Security of Ad Hoc and Sensor Networks (SASN ’06),2006. 6. J. Chen, X. Cao, P. Cheng, Y. Xiao, and Y. Sun, “Distributed collaborative control for industrial automation with wireless sensor and actuator networks,” IEEE Trans. Ind. Electron., vol. 57, no. 12, pp. 4219–4230, Dec. 2010. 7. X. Cao, J. Chen, Y. Xiao, and Y. Sun, “Building-environment control with wireless sensor and actuator networks: Centralized versus distributed,” IEEE Trans. Ind. Electron., vol. 57, no. 11, pp. 3596–3604, Nov. 2010. 8. H. Song, V. Shin, and M. Jeon, “Mobile node localization using fusion prediction-based interacting multiple model in cricket sensor network,” IEEE Trans. Ind. Electron., vol. 59, no. 11, pp. 4349–4359, Nov. 2010. 9. Daojing He, Chun Chen, Sammy Chan, Jiajun Bu and Laurence T., “Security Analysis and Improvement of a Secure and Distributed Reprogramming Protocol for Wireless Sensor Networks”, Nov 2013. Abstract: Air conditioning of automobile is essential for modern luxurious life. Today’s automobile air conditioning system is based on vapour compression refrigeration cycle and refrigerant R134a is used for this purpose. In this paper Lithium Bromide-water, Aqua- ammonia and Lithium Chloride -water refrigeration systems is run by waste exhaust heat or low grade energy of four cylinder four stroke diesel engine situated at mechanical department at Rajeev Gandhi technical university Bhopal. The capacity of refrigeration system is one ton and five litres kirlosker diesel engine is used for this purpose . A common counter flow shell and tube type generator or heat exchanger is used for all three vapour absorption refrigeration systems. The performance of all refrigeration systems depends on performance of diesel engine exhaust. This automobile air-conditioning system is run by waste heat or low grade energy, required minimum maintenance, used environment friendly refrigerants and reduces the mileage of the vehicle. Keywords: Waste heat recovery, LiBr-H2O, NH3-H2O, LiCl-H2O Refrigeration system, shell and tube heat exchanger, Diesel engine. 1. Morcos VH. Performance of shell-and-dimpled-tube heat exchangers for waste heat recovery. Heat Recovery Syst. CHP; 8(4):299–308.1988. 2. Talbi M, Agnew B. Energy recovery from diesel engine exhaust gases for performance enhancement and air conditioning. Appl Therm Eng ; 22:693–702.2002. 3. Anderson LZ, Robert Nation H. Waste heat recovery system for an internal combustion engine. United States patent; [4351,155] 1982. 4. Wang L., Bao, H., Wang, R. , Comparison of the performances of absorption and resorption refrigeration systems powered by the low grade heat, Renewable Energy, 34, 2373 – 239.2009. 5. G Vicatos, J Gryzagoridis & S Wang, “A car air-conditioning system based on an absorption refrigeration cycle using energy from exhaust gas of an internal combustion engine”, Journal of Energy in Southern Africa, Vol 19, Issue 4, pp.6-11.november 2008. 6. 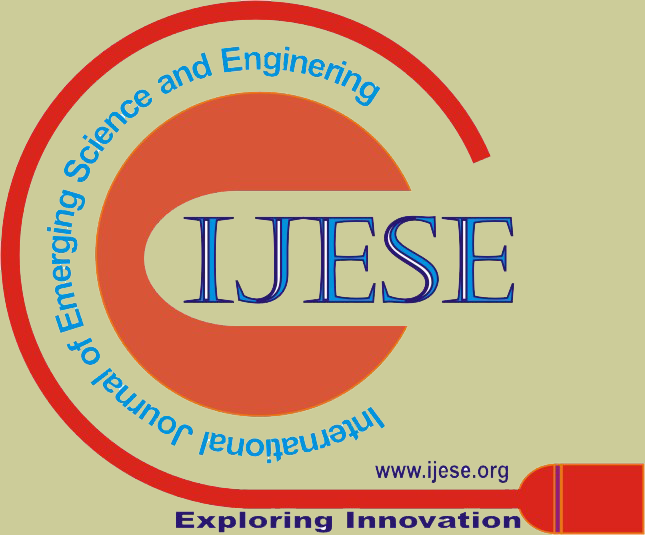 K.BALAJI & R.SENTHIL KUMAR, “Study of Vapour Absorption System Using Waste Heat in Sugar Industry”, IOSR Journal of Engineering, Volume 2, Issue 8 , , pp.34-39.August 2012. 7. Ghassemi, B. “Theoretical study of Absorption refrigeration for vehicle application.” XVII th International congress of refrigeration, Vol D, 285-261, 1987. 8. Keating C.L.” Absorption refrigeration for mobile application. U.S. patent no 3.667040,1954. 9. McNamara, I.J “Absorption refrigeration and air conditioning system” U.S. patent No. 3661200, 1972. 11. Horuz I , 'Vapor Absorption Refrigeration in Road Transport Vehicles', Journal of Energy Engrg., Volume 125, Issue 2, pp. 48-58. August 1999. 12. Horuz, T.M.S. Callander; “Experimental investigation of a vapor absorption refrigeration system”; International Journal of Refrigeration, vol. 27, pp. 10–16, 2004. 13. I.Horuz; “A comparison between ammonia-water and water-lithium bromide solutions in vapor absorption refrigeration system”, Int. Comm. Heat Mass Transfer, Vol.25, No.5, pp.711-721, 1998. 14. Salim ,M. Simulation of automotive LiBr/H2O Absorption A/C Machine, ASME imeEC2001/AES23620.2001. 15. Shah Alam A. Proposed model for utilizing exhaust heat to run automobile air-conditioner, International Conference on “ Sustainable Energy and Environment, 21-23 November 2006, Bangkok, Thailand. 16. Hugues L.Talom, Asfaw Beyene; “Heat recovery from automotive engine”, Applied Thermal Engineering, vol.29, pp. 439-444, 2009. 17. Anand Ramanathan, Prabhakaran Gunasekaran; “Simulation of absorption refrigeration system for automobile application”, Thermal science: vol. 12, no. 3, pp. 5-13, 2008. 18. S.Boonnasaa,P. Namprakaia, T.Muangnapohb; “Performance improvement of the combined cyclepower plant by intake air cooling using an absorption chiller” ,Energy,vol.31, pp.2036-2046,2006. 19. Ashok T. Pise,Keshav Kant,Ramesh K Sing,and Sukumar Devetto,Heat and mass transferenhancement in absorbers of LiBr-H2O refrigeration system”,Proceedings of sixteenth ASME-ISHMT Heat and mass Transfer Conference. 20. Hilali and M. S. Soylemez Co., 7thedition, pp.6.1- 6.23.; “On the optimum sizing of exhaust gas-driven automotive absorption cooling systems”; International journal of energy research; vol.32:pp.655–660, 2008. Arora;Domkundwar. (2004) 'A course in Refrigeration & Air Conditioning', Dhanpat Rai & SONS. 21. Koehler, W. J. Tegethoff, D. Westphalen, M. Sonnekalb; “Absorption refrigeration system for mobile applications utilizing exhaust gases”; Heat and Mass Transfer , vol.32, pp. 333–340, 1997. 22. P. K. Sotapathy, College of Engineering and Technology, BPUT, Bhubaneswar; Email premdamayanti@yahoo.com; “Studies on Advanced Vapor Absorption Refrigeration System”. Abstract: Preservation of the environment quality is one of the major concerns of this century. The biosphere is getting degraded by the release of natural and synthetic substances which can cause deleterious effects on living organisms. Among all the pollutants, heavy metals are easily transported and accumulated in the environment. Several industries such as textile, steel, electroplating, metal producing etc. release heavy metals (cadmium, copper, chromium, nickel, lead etc.) in the wastewater. Most of the heavy metals are toxic or carcinogenic in nature and may pose a threat to human health and the environment at higher concentrations. Several conventional methods are used for the removal of heavy metals from wastewater include chemical precipitation, ion exchange, reverse osmosis etc. but major limitations of such treatments are production of large quantities of sludge and may be ineffective or economically expensive processes. . So, the search for a new, simple, effective and eco-friendly technology for the removal of heavy metals from wastewater has directed attention towards phytoremediation. Many plants has been used for treating wastewater but duckweeds (family Lemnaceae) appear to be the better alternative and have been recommended for wastewater treatment as they are more tolerant to cold than water hyacinth as well as more easily harvested than algae, and capable of rapid growth. Keywords: Heavy Metals, Duckweed, wastewater treatment, Phytoremediation. 1. Ahmet, S., and Erdal, O. (2009). The Accumulation of Arsenic, Uranium, and Boron in Lemna gibba L. Exposed to Secondary Effluents. Ecological Engineering, 35, 1564–1567. 2. Alaerts, G. J., Mahbubar-Rahma, M., and Kelderman, P. (1996). Performance Analysis of a Full-Scale Duckweed Covered Lagoon. Water Resources, 30, 843–52. 3. Axtell, N. R., Sternberg, S. P. K., and Claussen, K. (2003). Lead and Nickel Removal using Microspora and Lemna minor. Bioresource Technology, 89, 41-48. 5. Christian, S. B., Diederik, R. P. L., Saleh, S. A., and Piet, L. N. L. (2012). Heavy Metal Removal in Duckweed and Algae Ponds as a Polishing Step for Textile Wastewater Treatment. Ecological Engineering, 44, 102-110. 6. Demin, S., Drouiche, N., Aouabed, A., Benayad, T., Badache, O., and Semsari, S. (2013). Cadmium and Nickel: Assessment of the Physiological Effects and Heavy Metal Removal Using a Response Surface Approach by L.gibba. Ecological Engineering, 61, 426– 435. 7. Donganlar, B. Z., Seher, C., and Telat, Y. (2012). Metal Uptake and Physiological Changes in Lemna gibba Exposed to Manganese and Nickel. International Journal of Biology, 4, 148-151. 8. Elma, L., O’Halloran, J., and Marcel, A. K. J. (2012). Frond Development Gradients are a Determinant of the Impact of Zinc on Photosynthesis in Three Species of Lemnaceae. Aquatic Botany, 101, 55– 63. 9. Hegazy, A. K., Kabiel, H. F., and Fawzy, M. (2009). Duckweed as Heavy Metal Accumulator and Pollution Indicator in Industrial Wastewater Ponds. Desalination and Water Treatment, 12 (1), 400-406. 10. Horvat, T., Vidakovic´-Cifrek, Z., Oresˇcˇanin, V., Tkalec, M., and Pevalek- Kozlina, B. (2007). Toxicity Assessment of Heavy Metal Mixtures by Lemna minor L. Science of the Total Environment, 384, 229–238. 11. Hou,W., Chen, X., Song, G., Wang, Q., and Chang, C. C. (2007). Effects of Copper and Cadmium on Heavy Metal Polluted Water body Restoration by Duckweed (Lemna minor) Physiology. Plant Biochemistry, 45, 62–69. 12. Jafari, N., and Akhavan, M. (2011). Effect of pH and Heavy Metal Concentration on Phytoaccumulation of Zinc by Three Duckweed Species. American – Eurasian Journal of Agricultural and Environmental Science, 10 (1), 34-41. 13. Jain, S. K., Gujral, G. S., Jha, N. K., and Vasudevan, P. (1988). Heavy Metal Uptake by Pleurotus Sajor-Caju from Metal Enriched Duckweed Substrate. Biological Wastes, 24, 275–282. 14. Kara, Y., Basaran, D., Kara, I., Zeytunluoglu, A., and Genc, H. (2003). Bioaccumulation of Nickel by Aquatic Macrophyta Lemna minor (Duckweed). International Journal of Agriculture and Biology, 5 (3), 281–283. 15. Kaur, L., Kasturi, G., and Sharma, S. (2012). Role of pH in the Accumulation of Lead and Nickel by Common Duckweed (Lemna minor). International Journal of Bioassaays, 1 (12), 191-195. 16. Khellaf, N., and Zerdaoui, M. (2009), Growth Response of the Duckweed Lemna minor to Heavy Metal Pollution. Iranian Journal of Environmental Health Science and Engineering, 6 (3), 161-166. 18. Naumann, B., Eberius, M., and Appenroth, K. J. (2007). Growth Rate Based Dose–Response Relationships and EC-Values of Ten Heavy Metals Using the Duckweed Growth Inhibition Test (ISO 20079) with Lemna minor L. clone St. Journal of Plant Physiology, 164, 1656–1664. 19. Rahman, A., Hasegawa, H., Ueda, K., Maki, T., Okumura, C., and Rahman, M. (2007). Arsenic Accumulation in Duckweed (Spirodela polyrhiza L.): A good option for phytoremediation. Chemosphere, 69, 493–499. 20. Saber, E., Fayza, N. A., Fatma, E., Peter, N., and Huub, G. J. (2006). Toxicity of Heavy Metals to Duckweed-Based Wastewater Treatment Ponds with Different Depth. Management of Environmental Quality: An International Journal, 17 (3), 313-322. 21. Safwat, M. A., Essam, G. M., Garmal, M. M., Mamdouh, A. A., Eman, S. A. (2010). Study on the Ability of Duckweeds (Lemna Spp.) for Decreasing Bacterial Load and Residues of Some Heavy Metals from Municipal Waste Water to Reuse in Aquaculture. Journal of the Arabian Aquaculture Society, 5 (2). 22. Sandra, A., Magdiel, G., Marco, L., Graterol, N., Anzalone, A., Arroyo, J., and Zaray, G. (2008). Arsenic Removal from Waters by Bioremediation with the Aquatic Plants Water Hyacinth (Eichhornia crassipes) and Lesser Duckweed (Lemma minor). Bioresource Technology, 99, 8436–8440. 23. Sandra, R., Drazenka, S., Petra, C., Lvanka, M. L., Marija, R. M., Sinisa, S., Branka, K. P., and Mirjana, P. (2010). Ecotoxicological Assessment of Industrial Effluent Using Duckweed (Lemna minor L.) As a Test Organism. Ecotoxicology, 19 (1), 216-222. 24. Sascha. (1999). Duckweed Aquaculture Potentials, Possibilities and Limitations for Combined Wastewater Treatment and Animal Feed Production in Developing Countries. SANDEC Report No. 6/99. 25. Sharma, S. S., and Gaur, J. P. (1995). Potential of Lemna polyrrhiza for the Removal of Heavy Metal, Ecological Engeering, 4, 37-43. 26. Singh, D., Gupta, R., and Tiwari, A. (2012). Potential of Duckweed (Lemna minor) for Removal of Lead from Wastewater by Phytoremediation. International Journal of Food Science and Technology, 2 (1), 10-26. 27. Smain, M., Saida, S., and Michel, C. (2009). Toxicity and Removal of Heavy Metals (Cadmium, Copper, and Zinc) by Lemna gibba. Ecotoxicology and Environmental Safety, 72, 774–780. 28. Staver, R. P., and Knaus, M. R. (1985). Chromium Removal from Water by Three Species of Duckweed. Aquatic Botany, 23, 261-273. 29. Stefan, G., Christoph, H., Christoph, H., Kerstin, K., and Albrecht, P. (2010). Whole Effluent Assessment of Industrial Wastewater for Determination of Bat Compliance. Environmental Science and Pollution Research, 17, 856–865. 31. Zayed, A., Gowthaman, S., and Terry, N. (1998). Phytoaccumulation of Traces Elements by Wetland Plants: I. Duckweed. Journal of Environmental Quality, 27,715–721.